Optical fiber technology has significantly bolstered the growth of photonics applications in numerous areas such as the telecom infrastructure, a wide range of sensors, vehicle and airplane control, life sciences research, and biomedical diagnosis, therapy, monitoring, and surgery. This talk addresses the various categories of optical fibers that are being used in biomedical research and clinical applications at wavelengths ranging from 300 nm in the ultraviolet to 10.6 micrometers in the infrared. The talk will describe the operational characteristics of conventional and specialty multimode and single-mode solid-core fibers, double-clad fibers, hard-clad silica fibers, conventional hollow-core fibers, photonic crystal fibers, polymer optical fibers, side-emitting and side-firing fibers, and middle-infrared fibers. Dr Gerd Keiser Gerd Keiser is the Founder and Principal Consultant of PhotonicsComm Solutions, Inc, a consulting and education company that addresses optical fiber communications, FTTP networks, telecom networks, and biomedical photonics. He has broad experience in the telecom and biophotonics fields as a consulting engineer, strategic planner, keynote speaker, educator, and author. ?? 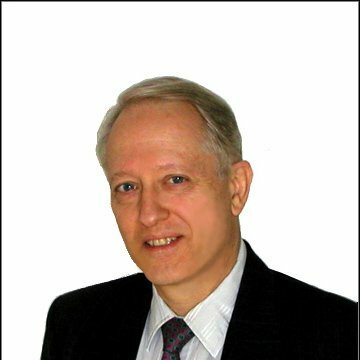 Gerd Keiser is an IEEE Life Fellow, an OSA Fellow, and a SPIE Fellow. He received GTE's prestigious Leslie Warner Award and two Superior Performance Awards for technical innovation, is on the editorial board of the "Optical Fiber Technology" journal, and serves as a reviewer of book manuscripts for McGraw-Hill and John Wiley and of technical articles submitted to IEEE, Elsevier, and SPIE journals.